Dark but not dense colour. Slightly syrupy but fresh and varietal Shiraz. Hard to drink too young. Gives a lot of Australian Shiraz very serious competition at the price! This entry was posted in Shiraz, Wine by ByronSharp. Bookmark the permalink. 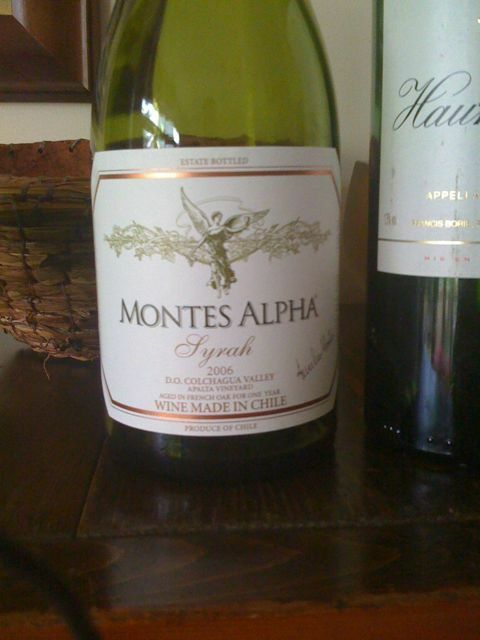 Do you have the 2006 montes alpha syrah as stated above as i could not find on your website.